Bellator MMA signs Lynx Shreds Athlete and worlds #1 ranked prospect of the sport. The world’s largest tournament based Mixed Martial Arts organization Ballator, signed the sports most promising star on May 31, 2013. 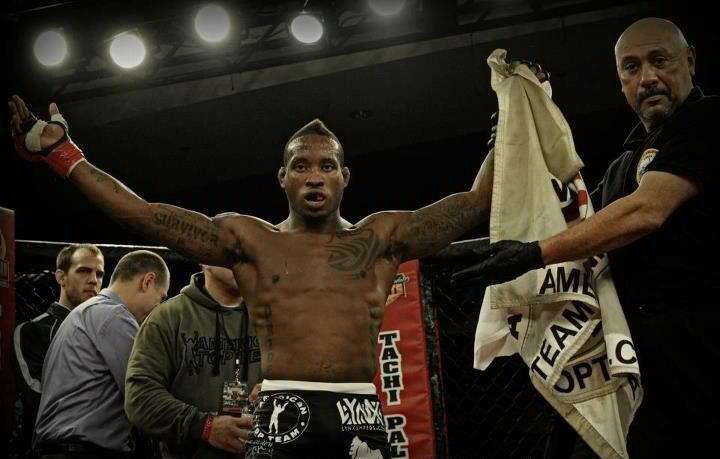 Lynx Shreds Athlete and former 2011 NCAA National wrestling Champion Bubba Jenkins, 25, is the world's #1 ranked prospect and is now looking to shock the Bellator MMA league. Jenkins wrestled at Penn State University for four years where he became a NCAA National runner up and 2X All American before transferring his senior year to Arizona State University where he won the National Championship at 157 pounds. Since becoming the National wrestling Champion, Jenkins moved to Hollywood Florida where he joined the prestigious American Top Team. He has been working on perfecting his fighting by training with some of the best fighters in the world mostly on jujitsu, and boxing so he will become a confident fighter in all situations. He also worked with and helped coach with the Current UFC Champion Jon Jones on the Ultimate Fighter Reality show that aired this past spring. Current Bellator Lightweight Champion Michael Chandler who is also a former Mizzou University wrestler, wrestled Jenkins in the 2011 NCAA Division I Championships. Bubba dominated him with a major decision score 15-3. After wrestling and dominating Bellators current champion, Jenkins has very high expectations for his future in Bellators league. "Bellator is doing a lot of great things right now and I want to be a part of it. I’m not here to step on any toes, I’m here to develop as an elite fighter, get my shot in the tournament and eventually compete for a world championship." Bellator CEO & Chairman Bjorn Rebney said, "Bubba Jenkins is MMA’s top young prospect and we have the optimal developmental program to maximize that talent. Our mission is to sign and develop the world’s best fighters. Bubba’s development will be strategic and disciplined, taking all appropriate preliminary steps prior to his facing the rigors of the toughest tournament in sports." 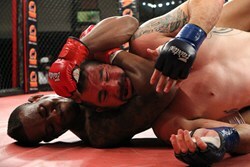 Bellator fights are televised in nearly 500 Million homes worldwide and over 107 countries and can be seen on Spike TV. Jenkins (Twitter: @2sinsurrJenkins), who is undefeated with a 3-0 record, makes his Bellator debut against Mike Barrares at Bellator 97 on July 31 at the Santa Ana Star Center in Albuquerque, N.M.
Lynx Shreds Apparel is a proud sponsor of Bubba Jenkins who wears the brand in his fights and where ever else he goes. Lynx Shreds represents more than just a clothing line but a brand that embodies the “Extreme Athlete Lifestyle.” Jenkins is part of the Lynx culture because he lives and breathes the brands vision on a daily basis. The Lynx Shreds vision is about giving whatever it takes and everything you've got to accomplish your dreams. Pushing yourself and your friends to make each other the best you can possibly be. Be sure to order an Official Lynx Shreds Bubba Jenkins MMA shirt from http://www.lynxshreds.com (Limited time only). For more information on Lynx Shreds Apparel, Bubba Jenkins, and special clothing offers please follow us on Twitter & Instagram- @lynxshreds & “Like” Lynx Shreds on Facebook!